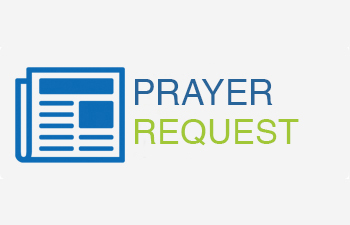 Here you will find prayer requests from all around the district. Please remember these as you prayer today. surviving spouse of Rev. Douglas Ray, passed away in Detroit on November 23rd. Visitation will begin at 11 a.m. on Saturday, December 10, with funeral services following at 12 noon, at Riley Chapel UMC (1107 Church Street, Gulfport). Please keep the Ray family in your thoughts and prayers. Just got a call from Rev. Shirley Fairley (Bolton Chapel UMC). Her husband, Willie Ray, had surgery Tuesday at Singing River Hospital. He is at home now and recuperating. Please keep Willie Ray, Shirley and family in your thoughts and prayers. Rev. Love Loftis (Burton Memorial UMC) will be having outpatient surgery tomorrow morning at Memorial Hospital in Gulfport. Sympathies go out to Mrs. Brenda Pickering, wife of Rev. Larry Pickering (Byrd Chapel UMC), and family. I just found out that Brenda’s dad, Mr. Fulton Mobley, passed away earlier in the month.